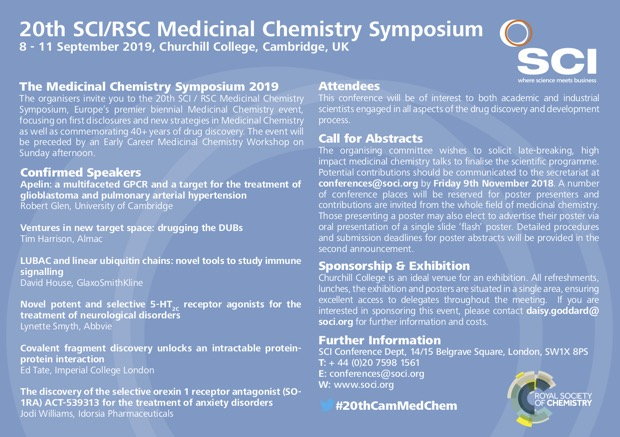 20th SCI/RSC Medicinal Chemistry Symposium on 8 - 11 September 2019 at Churchill College, Cambridge. 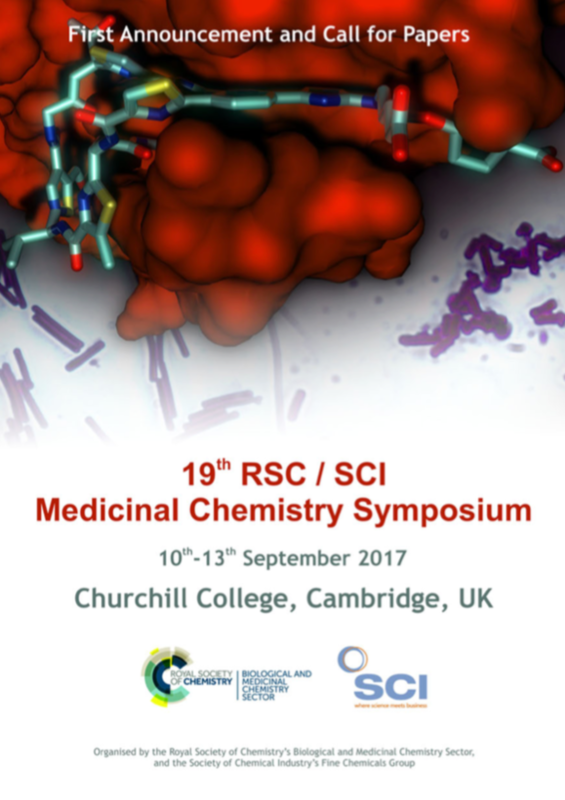 The organising committee wishes to solicit late-breaking, high impact medicinal chemistry talks to finalise the scientific programme. Potential contributions should be communicated to the secretariat at conferences@soci.org by Friday 9th November 2018. 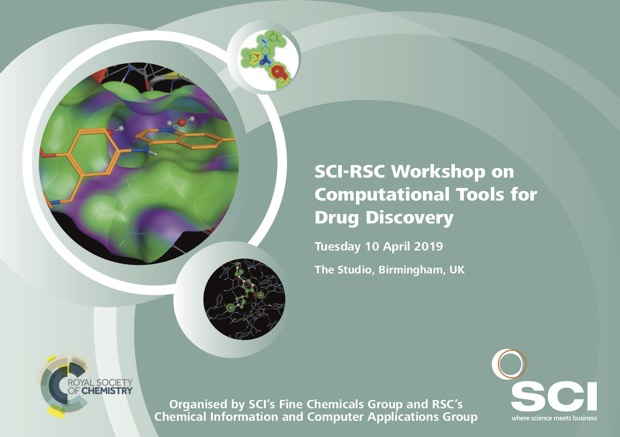 A number of conference places will be reserved for poster presenters and contributions are invited from the whole field of medicinal chemistry. Those presenting a poster may also elect to advertise their poster via oral presentation of a single slide 'flash' poster. Detailed procedures and submission deadlines for poster abstracts will be provided in the second announcement. 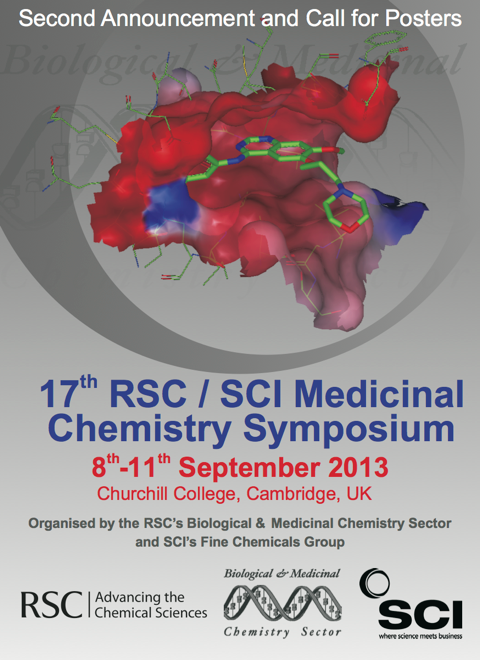 The lineup for the RSC-BMCS / RSC-CICAG conference on Artificial Intelligence in Chemistry has been announced. 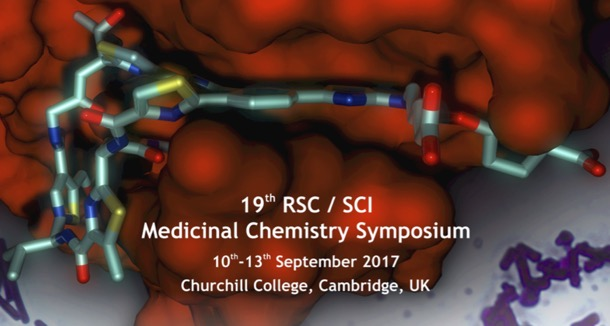 The 19th RSC / SCI Medicinal Chemistry Symposium (#19thCamMedChem) takes place 10th-13th September 2017 at Churchill College, Cambridge, UK. This biennial meeting is one of the highlights of the drug discover calendar. Each meeting we try to enhance the scientific programme and this time there will be a live webcast of one of the sessions. Tuesday, 12th September Afternoon (13-30pm start). 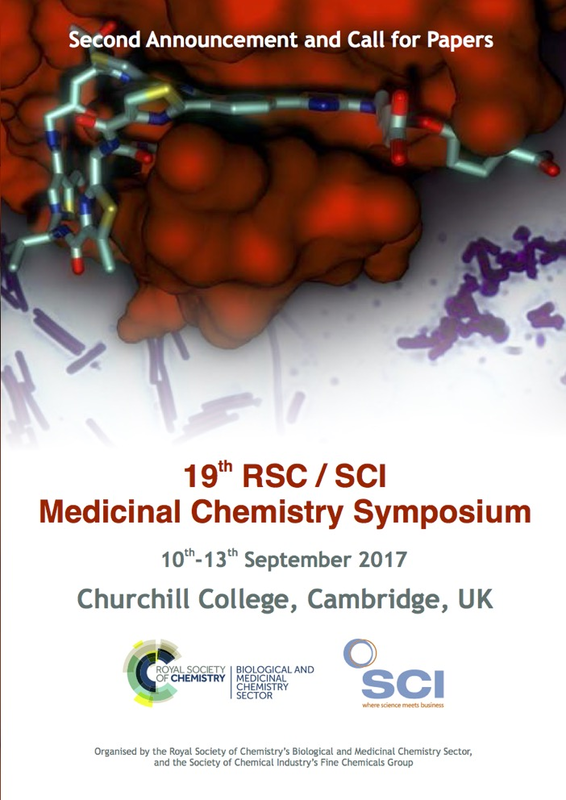 The 19th RSC / SCI Medicinal Chemistry Symposium takes place 10th-13th September 2017 at Churchill College, Cambridge, UK. This biennial meeting is one of the highlights of the drug discover calendar. The full lecture timetable can be downloaded here. 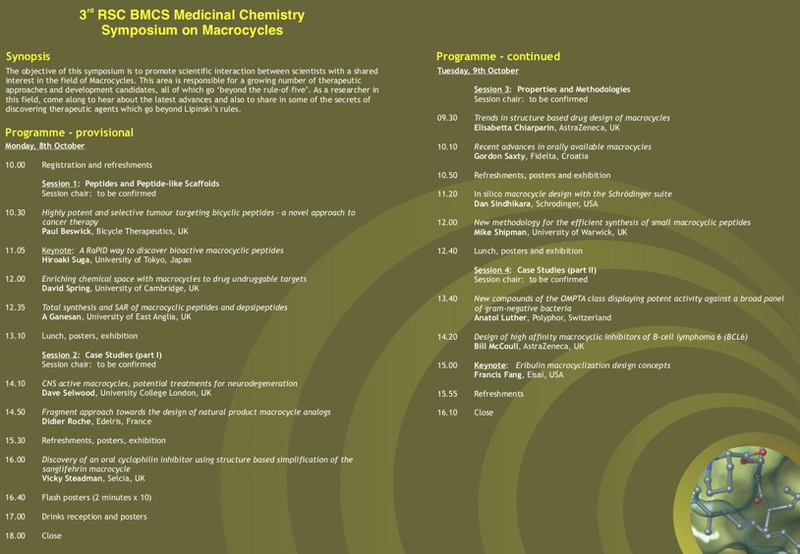 Contributions from the whole field of medicinal chemistry are invited. Flash presentation sessions are planned which will involve a two-minute presentation of poster highlights. Poster abstract submissions should be sent to the secretariat by 16th April if you wish to take advantage of the early-bird registration fee and indicate whether or not you would like to be included for consideration in the flash presentation session. The final deadline for submission of posters is 21st July. Registration is now open and delegates are encouraged to book early to ensure places at this very popular meeting. 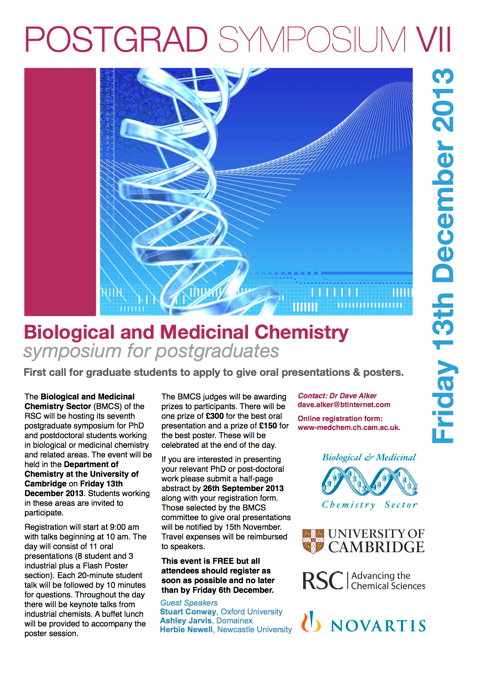 Discounted rates are available to RSC and SCI student members, and some student bursaries are available. Applications are invited from PhD and post-doctoral students studying at European academic institutions, preferably members of the RSC, SCI or EFMC. Those submitting abstracts for poster presentation will be favoured. To apply for a student bursary, please complete and return the bursary application form by 21st July. Late Stage Functionalization (LSF) holds the potential to revolutionise the logic of chemical synthesis and open new ways to prepare novel natural products and medicines. The introduction of important chemical groups for medicinal chemistry in the very last steps of the synthesis through LSF could also dramatically speed up the preparation of NCEs and have a major impact on drug discovery. The availability of new powerful catalytic chemistries showing a high degree of functional group tolerance and that can be performed under mild conditions offer tremendous opportunities for chemists to access new molecules that cannot be made easily by conventional approaches. 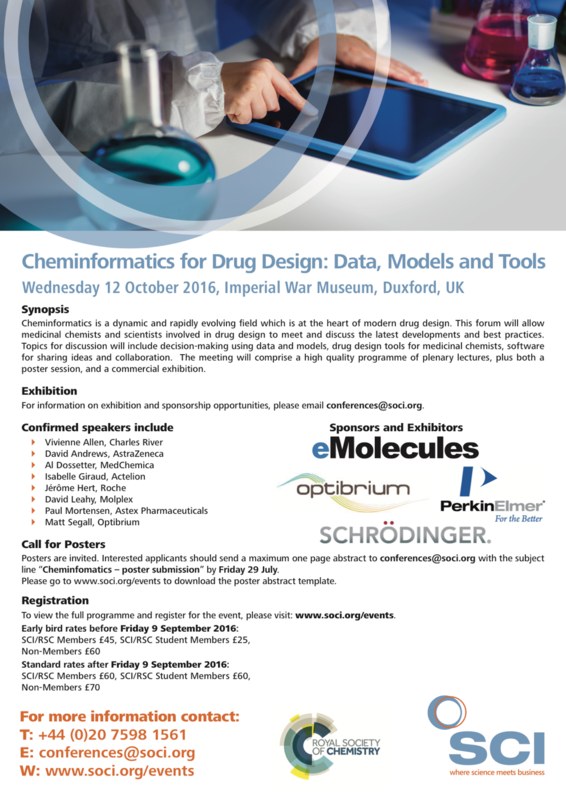 Europe’s premier biennial Medicinal Chemistry event, focusing on first disclosures and new strategies in medicinal chemistry. Reflecting current trends in medicinal chemistry and pharmaceutical research, the theme of the conference will be ‘Drugging the Undruggable’. 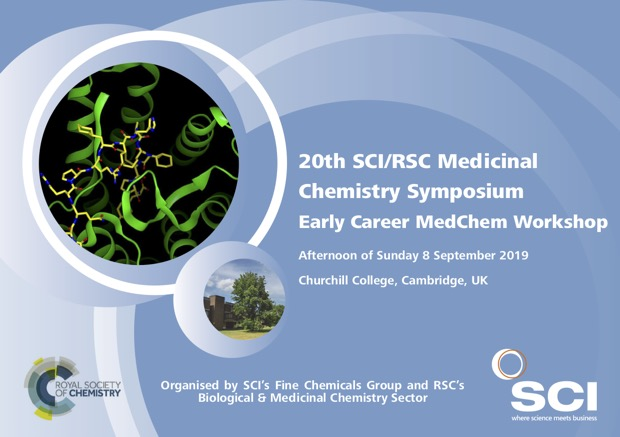 A number of conference places will be reserved for poster presenters and contributions are invited from the whole field of medicinal chemistry. Those presenting a poster may also elect to advertise their poster via oral presentation of a single slide ‘flash’ poster. 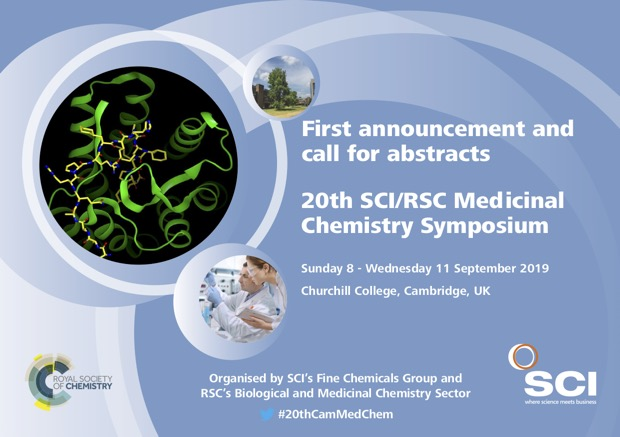 In addition to traditional plenary talks the organising committee wishes to solicit short talks (20 minutes) describing highly impactful but possibly less complete episodes of medicinal chemistry.